Matthew Bowie is a rising talent in Chicago’s photography community. His work combines artistic concept, commercial-level production, and the stark realism of a documentarian, a trademark undoubtedly informed by his years spent as a photojournalism student, social worker, and educator before turning to photography full time. A world traveler and largely self-taught photographer and businessman, Bowie’s photos often depict strong, determined men and women in pursuit of a dream, leaving no uncertain parallel between the art and its creator. That link becomes particularly apparent in Bowie’s latest offering, “The Antarctic Expedition,” which was inspired by Peter Fitzpatrick’s reconstructions of the photos of Captain Robert Falcon Scott’s 1910 expedition to the South Pole. 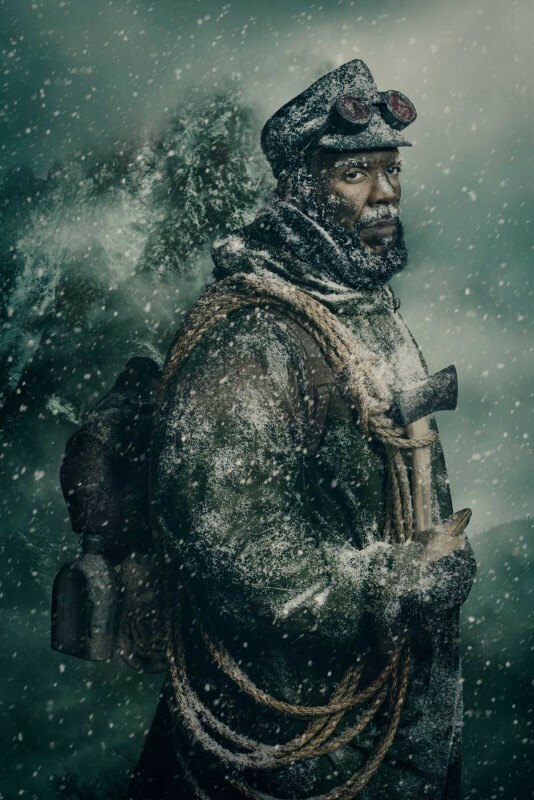 Where Fitzpatrick’s images closely echo their historical counterparts, Bowie re-imagines the journey as a seemingly timeless adventure, casting African American models Brandon McCreary, Billy Boston, and Michael Watts as the explorers, and challenging common media portrayals and stereotypes. Jamie Ludwig [JL]: Your background is really interesting. Can you share a little about your personal story and what inspired you to reinvent your career as a photographer? 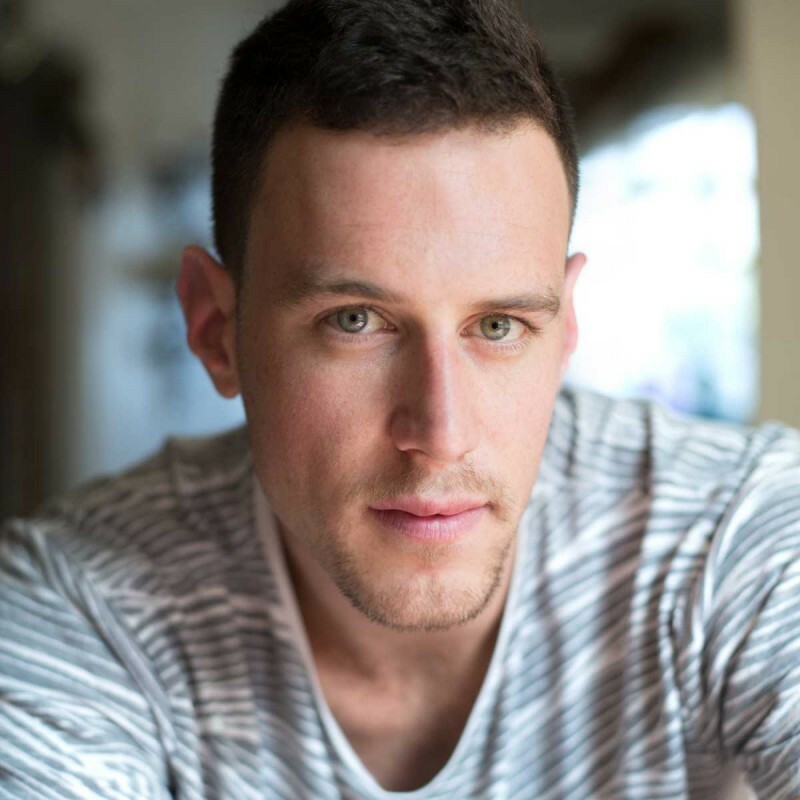 Matthew Bowie [MB]: My original degree was in photojournalism. Obviously, the work that I'm doing now is similar but very different in the sense that in photography you're taking a much more production approach. You're thinking more about directing a photograph or creating a concept, something that doesn't exist. With photojournalism you're strictly documenting a scene that's unfolding before you. You can't really manipulate anything that's happening in the environment or the subject. You're usually using any available light and you're just a fly on the wall. That was an interesting background to come from. I worked on a documentary project my senior year, photographing a family that was living in a homeless shelter. At the end of that project I was like, "You know what? I think I'd rather be a social worker than a photographer. I might be able to have more of a positive impact." I pretty much graduated from school and put my camera on the shelf for three years. I worked as a social worker for a year. Then I worked as a kindergarten teacher's assistant for a year and then I worked as a chef's assistant for a year. In October of 2010, I came full circle. I thought, "I'm definitely more of an artist and way too emotional to be involved in social work," so I decided to start pursuing photography. I realized I enjoyed the process of conceptualizing a photograph and building it in imagination much more than strictly documenting what's happening. JL: You've only been a professional photographer for a few years but it seems like you’ve had a lot of success so far. Could you share a little bit about your professional development and the steps you took to establish yourself as a photographer? MB: Most professional photographers will go to school, get a degree in photography, and then assist a commercial photographer for two to four years. That's where they'll really learn more the business side of running a studio. About two years ago, I assisted for about a month with a photographer that I specifically wanted to work for. I would have assisted more, but it was very difficult to find photographers to assist for. I was trying to pay my bills so I just tried to get photography jobs. I was fortunate enough to be able to make enough through shooting that I could sustain myself. The assisting was more to just learn some specific things that I was trying to achieve. Literally, everything I learned about lighting and pretty much how to produce a photograph I learned through YouTube and video tutorials online and then direct practice. That’s the technical and aesthetic side. On the business side, my parents are third generation business owners so I gained a lot of the basic principles of business from them. I did a tremendous amount of research about trends for commercial photography, how things should be priced, what's appropriate, what's not. In some cases, I called the other photographers and asked them directly. I met some photographers through the APA and I asked those questions too. JL: Have any other benefits of being part of APA been really helpful? MB: Yes. In addition to meeting other photographers, the APA allows you to have opportunities, whether you're going to an industry event and simply socializing with other individuals within the industry or attending a panel lecture and listening to another photographer talk, it peels back some of the mystery. 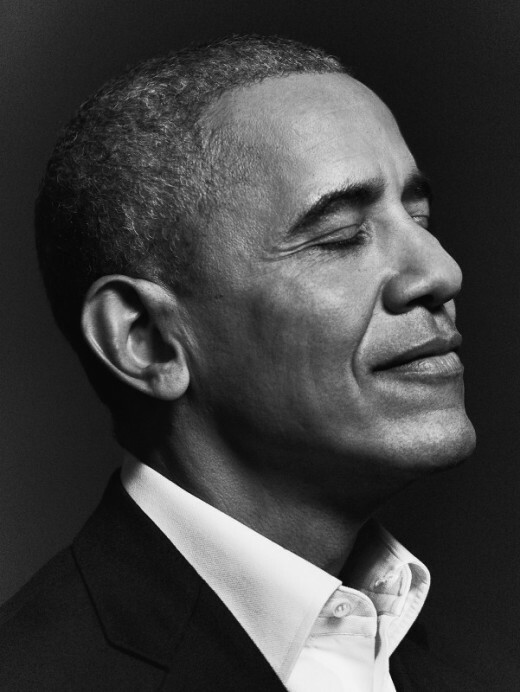 When you're not aware of something, it can be very overwhelming, but then here's another photographer and they're like, "Yeah, I'm just as clueless. I'm still learning. I've been doing this for 10 years and there's still so much that I don't know." You think to yourself, "I'm not the only one. This definitely has complications to it but it's not impossible to do myself." JL: How have you evolved your aesthetic as you grow as a photographer? MB: It's something that is continually evolving. A lot of times, people will stop and ask you "What type of work do you do?" I used to say I'm a portrait photographer or a lifestyle photographer, which was very general. Now I describe the most recent personal project that I either have done or I'm currently doing. I'll say I'm a photographer and a project I'm currently working on is I'm photographing African-American subjects to illustrate the idea of African exploration in Antarctica. Then the person's like, "Okay. That sounds really cool." It gives them an idea of what I'm doing. I think people can connect better when you talk about something specific you're doing instead of simply saying in a general sense that you're a portrait photographer. That's how I try to define it. When I first started, I would shoot whatever I could. A lot of things that seem mundane now were somewhat enjoyable because they were new. They were still challenging. If someone was like, "Hey, we want this really crisp, clean corporate type of shot," there were a lot of logistical things or ways of having to light that photograph to make it look the way they wanted, it which was new to me so it's still interesting. I’d take that experience and apply it to an idea or a concept that I personally cared about. Probably 90% of what I show was not commissioned to be shot. Most of the images on my website, my Instagram, and my social media, I shot myself. They were either shot to demonstrate what I could do for a commercial job or they were shot strictly to demonstrate my creative abilities. There's also a dynamic of shooting something that's "personal" but also incorporating elements that could be applied to commercial work. The Antarctic photographs are a perfect example of combining a commercial-level production to a personal concept. 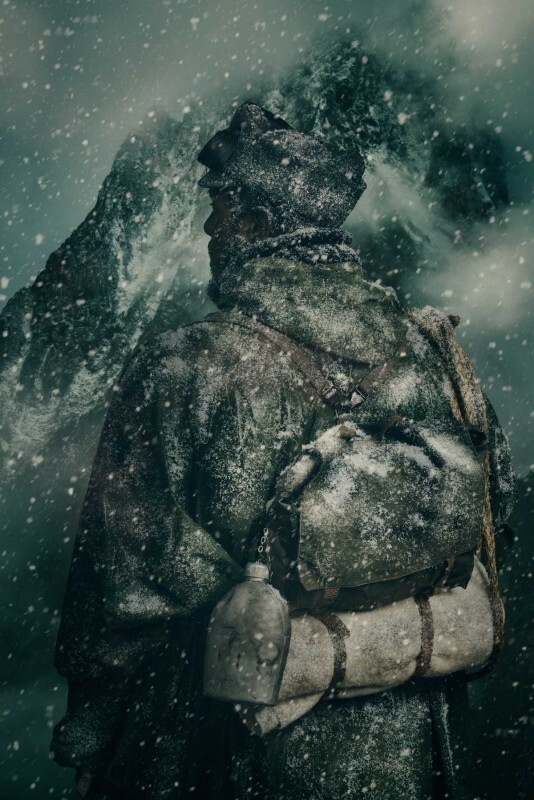 JL: The Antarctica project was originally inspired by Peter Fitzpatrick's work to recreate the original 1910 Voyage. What motivated you to do a recreation of a recreation? Have you ever attempted something of that nature before? MB: No, not as blatantly as I did with the Antarctic series. When I first saw Peter Fitzpatrick's images, they reminded me why I fell in love with photojournalism because they're very raw, they're very real, they're very unproduced. When you see them, you're like, "Wow! These are like real dudes that went out on this exploration and got real frostbite. That's real snow and they're really in Antarctica." There's something really interesting visually, and personally I'm still emerging [as a photographer], so it's like I still feel like I'm in this wilderness of trying to find myself, trying to find some stability work. I'm trying to in search of a break to get established. You're always fighting to make your mark. I finally realized that several months later when I looked at the work. I was like, "Oh my gosh! This is me." 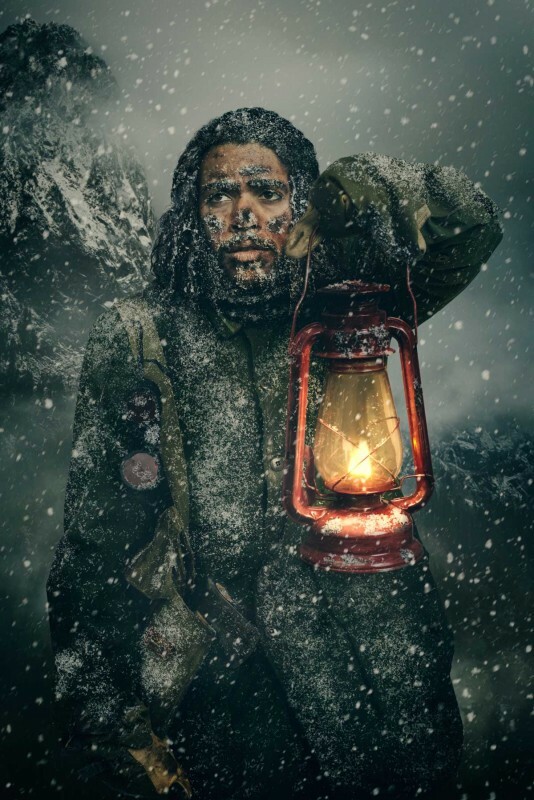 JL: Much of your portfolio features outdoorsmen and athletes, maybe not as dramatic types of portraits as the Antarctica ones, but it seems like there's a thread between how you portray all of these people and an adventurous spirit in your own journey. MB: I'm definitely drawn to individuals who are confident with themselves and have a unique expression of their personality that you can see in their face or in their environment. Even if I'm working with a model or something like that, I'm much more interested in taking a photograph that captures something that's personal for that model and not necessarily just having them look as beautiful as possible. There was a recent shoot I did where the model actually said, "This is one of the few photographs that actually looks like me." I thought that was really interesting because oftentimes, especially with lighting techniques and things like that, you can really capture a photo of a person that definitely looks the most flattering but is not always the most honest. For years, I've been thinking about how interesting it would be to present certain ethnic communities in a context that doesn't fit any time period, doesn't fit any geographic region and that really confronts stereotypes you might have. JL: What is the importance or relevance for you in finding that realism in your work versus taking a more creative, or like you said, a “flattering” type of look? MB: I think it relates to my background and personal struggle throughout life. Much of my adolescence was spent going through emotional hardship and personal discovery. A lot of my friends got into some very negative activities and just never came out of it. There's always been something personal that I connect with in individuals who struggle and have this difficulty that they carry. If I look at a photo of a model on the cover of Vogue, I don't necessarily see that. I see there's a beautiful face but what's the story behind the beauty? There's always something behind the surface. I think that's why the Antarctica portraits are very dark. There's this intensity. It's practically nighttime and there's an element of struggle. I didn't want it to go too far where you're not sure they're going to make it out. There's a struggle but a perseverance in the midst of the struggle. There are a lot of emotions going on in these photos. It seems like a mix of determination and a little fear or worry. What were you trying to get at with these images? What do you think your models brought to the shoot? The heart of that is finding and capturing something that's in process instead of something that's complete. For instance, if you were to look at a magazine ad you might see an athlete on top of the mountain in this place of victory. They've overcome the challenge. They've reached the summit. For me, I feel like I'm still climbing. I'm still going through the rigors of trying to get to the summit and the difficulty that you encounter in the process. There's this element where you're not sure. Are they going to make it? Are they not going to make it? I don't know. Some of the subjects have more of a strength. It was interesting when we took the photos. I knew pretty soon which subjects would be the ones who were struggling more because you can see it in their faces. Some had more confidence, some had more assuredness. I think it's hard to fake that. If you put an actor or if you put a model in a certain context, their personal emotions or what's going on personally in their life usually is going to come through. JL: It seems like this shoot must have been a little unconventional as far as modeling jobs. How did everything come together? MB: It actually all started with the hair and makeup artist. I contacted Cindy Schute and asked if she'd be interested in testing with me and collaborating on a project and she was and then she got booked on a television show for an entire year. I didn't really hear from her after that, and I wasn't sure what was going on, like, "She's probably busy or just not interested." I wasn't really thinking about it anymore. Then out of the blue, she contacted me for a project I did several months earlier which was the “Zombie” series and wanted to shoot that concept. A couple of months after that, I approached Cindy again and said, “I’ve got this concept for this African-American Antarctic explorers. Here are the reference photos from Peter Fitzpatrick's work. Would you be interested in working on this?” She was like, "Yeah. Absolutely." All three models were from different agencies and from different communities within the creative community of Chicago. I felt really fortunate that the director from the agencies were willing to take a risk and let their talent test with me because it was all unconventional. I have a friend who does set design for television and she has a studio space. I asked if I could work in her studio for trade and photograph some of her artwork in exchange for using the space, so we shot there. The background mountains were shot in Washington State a couple of weeks before the shoot and then the subjects and the snow were shot in the studio. We shot against a gray paper backdrop and then I worked with Brian York, a retoucher to complete the project. JL: I know working with African American models was an intentional casting choice for this project. Over the last year or two, civil rights and the ongoing struggles have been increasingly on people's minds and in the news. Was that something that you were thinking about when you put together this idea? For years, I've been thinking about how interesting it would be to present certain ethnic cultural or types of communities in a context that doesn't fit any time period, doesn't fit any geographic region and that really confronts stereotypes you might have. The time period of the wardrobe confuses you as to when this actually took place. You're not definitely sure. Are these guys in the military? Are they not in the military? Why are they in a polar climate? Where are they? Are they going to something? Are they running from something? You're not really sure. Hopefully if someone looks at it long enough some of those questions will come to mind. JL: Now that it's completed, have you showcased the work anywhere? MB: Not yet. No. That would be pretty cool to do. It's interesting too because I think I have an association with galleries strictly being fine art work or something that's "fine art.” To me, I somewhat consider this fine art but I think aesthetically, people might be like, "This is commercial. This is conceptual. This isn't fine art." For me, if you're communicating a message, it's art. If it's speaking to people and there's a concept behind it, it's art. A lot of times people will try to group stuff into categories. It's hard to do that. I'm not really sure how that works, but I'm probably the only artist that would actually admit I actually enjoy to label it a little more than I do because it would make things a lot easier. If I strictly did documentary photography, it'd be great. It'd be like “I'm a documentary photographer.” It would be someone get that, but when you start to infuse photojournalism, documentary, commercial, portrait and social issues, you merge that all together. It can get confusing, which is good. It's hard, too, because people want to steer you in a direction. I always use this analogy when people ask, “What type of work would you like to shoot?,” or “Where would you like to go?” It's really hard to ask that because it's similar to asking a music artist what their next album is going to sound like when he just finished [his latest record]. Someone listens to it and they're like, "Man, this is awesome. What's your next album going to sound like? I don't even know how you begin to answer that. It's really hard. JL: It is hard to predict the future. We're all so affected by our daily experiences and change throughout our lives. MB: I can say when you collaborate, you give up some of your vision and entrust it to someone else. It's never going to look 100% how you're envisioning it in your mind, and I don't think it should. It requires a lot of trust to lean on other creatives and to really say, “Here's my baby,” so to speak. “What would you bring to this? What do you see?” It really takes a lot of humility to do that. It's not easy at all. I usually wait a couple of days until I even look at the images because it's nerve-wracking. I am usually just terrified to even look at the work. I'm scared it's not going to look right or something's going to be off. Initially, I was really concerned that this wasn't going to look good, but then when I saw the final result and got the feedback and enthusiasm from Brian and Cindy, I got to be okay with where it's at and see it like that. You’ve got to come to a point where you're like, "That's it. It's done. What we've got is what we've got." You can always beat yourself up and second guess what you did and think you should have done this and that but, at the end of the day, you got to really let all that go and be like, “This is good, I grew a lot, I learned a lot” and be okay with that. JL: Has this informed some of the newer projects that you're developing? MB: Totally. With this project, everyone was like, "This work is amazing." You've hit the home run. You just set the bar for all your future work. You got to now replicate this. It was extremely overwhelming. I was like, "Oh my gosh! What I have done?" I hit a creative block for a couple of weeks. I had no idea what to shoot. A consultant that I've been working with who's like a coach as well, she said, "Why don't you reach out to artists, shoot environmental portraits of them and ask them how they stay creative just to inspire yourself?" That's a current project that I'm working on. I'm hoping to do ten final subjects who all work in different disciplines. I’ve photographed three so far. The first subject was a female duo that does design, sculptures, installations and things like that. I photographed a former carpenter that turned artist who creates glass sculptures and things. The third subject was a painter. I'm talking now with a professional ballet dancer and the artist who works with computer code. For that project, I'm collaborating with Ben Doessel, a copywriter at an agency to put together so I'm interviewing the subjects and transcribing those interviews with text and then I'm handing those off to a copywriter and then he's going to come up with the layout, design and the text is going to be overlaid with photographs. JL: You mentioned earlier that when you collaborate you give up something. It reminded me of the kind of adventurous spirit of the other photos and the idea of overcoming something that might frighten you. It sounds like you're making that your goal for the year. MB: It's interesting. Jesus' diciples asked him, "Who is the greatest out of the twelve of us?" His response to them was, "If you want to be the greatest, you need to become the least, and you need to become the servant of everyone else." I really try to take that practice to heart and think about how as a photographer, instead of exalting solely my idea, how do I come up with an idea and partner with someone else to raise their idea and make it this mutual thing. Even the people you work with will say, "What's your vision for this photo?" Secretly, I'm always more interested in what other people's vision is and how to complement that. I'll have an idea, but it's also fun to use that as an excuse to draw out someone else's idea. JL: One last question, your story has something a lot of people, not just photographers, are dealing with these days. What advice would you have about someone looking to transition into a new career as a photographer? MB: I'd say the biggest thing is stepping out and taking opportunities that you know you're not prepared for, and going for it. There were commercial jobs I took early in my career that I 100% was not prepared for. I knew it. I'm pretty confident my client didn't know it, otherwise they might not have hired me. I wasn't fully prepared and I wasn't fully confident because I was doing something I hadn't done before. But I decided, "I'm going to do this anyway, and if it totally fails and it's horrible, and I never get hired again, that's the worst thing that could happen." I think if someone has a desire to do something, and they don't have all the experience or education, shy of heart surgery. Then again, even with heart surgery someone had to do it the first time and there was an element of experimentation like, "We don't actually know if this is going to work, but we're going to go for it." I think that's one of the biggest keys to success. It's like the old saying, "Courage is not the absence of fear, it's…” I forgot the second part. JL: [looks up quote] “...the triumph over it." It’s attributed to Nelson Mandela. MB: For sure, and anything from Nelson Mandela is going to be legit.